Why is Concordia Still Doing Business with Genivar? 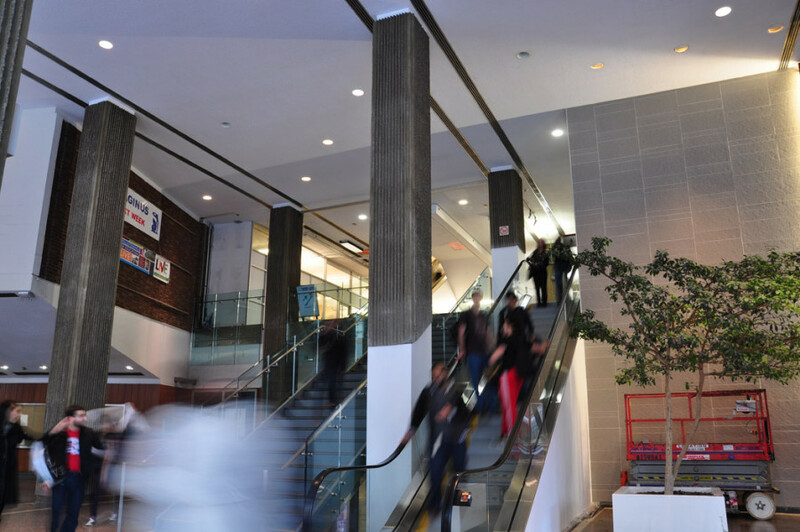 Enter Concordia’s Guy-Metro Building and head to the third floor to come across an office space belonging to Genivar Inc., a Canadian engineering consulting firm and one of the largest of its kind in the province. It’s not terribly shocking that the university provides space for external businesses on campus, especially one that the university regularly deals with, but what raises red flags is the fact that Genivar has been named repeatedly in the Charbonneau Commission as being heavily involved in collusion in Quebec’s construction industry. Despite allegations of corruption against Genivar, the university has continued to include them in its construction projects. Headed by Quebec Superior Court Justice France Charbonneau, the eponymous commission began in October 2011. It aims to shed light on activities involving corruption and collusion in the way public construction contracts are managed in the province, as well as to find possible solutions to help rehabilitate the industry. So far the commission has led to the resignation of former Montreal mayor Gérald Tremblay, interim mayor Michael Applebaum and former Laval mayor Gilles Vaillancourt. Those who have testified have painted a dark and depressing portrait of the Quebec construction industry characterized by intimidation, threats, bid rigging and millions of dollars being funneled into political parties at both the municipal and provincial level. Former Genivar vice-president François Perreault testified in March before the commission, stating that subcontractors like Exékut routinely invoiced Genivar without the latter ever having performed any actual services. Exékut made headlines earlier this year when an employee of the Terrebonne-based construction company was sentenced to two years in jail for fraud related to the company’s involvement with Genivar. Concordia University spokesperson Chris Mota said that Genivar being named in the Charbonneau Commission isn’t cause for the university to rethink its relationship with the company—but why not? Being linked to an organization that has been named in an inquiry into just how deep corruption runs in Quebec construction projects can bring no good to Concordia’s reputation. The university certainly doesn’t need any more bad press, especially in relation to how they manage their money. The projects that Genivar and Concordia collaborate on are by no means insignificant: the John Molson School of Business Building ended up costing $118.5 million, while the current renovations of H-110 will reportedly cost $4.25 million. These aren’t minute sums to the university, and it’s important that the money goes towards a company that has a cleaner record than Genivar allegedly does. Genivar isn’t the only engineering consulting firm in the city, and accepting that the university will not switch to a different, less shady organization despite the tangible ties to corrupt practices being uncovered is a tough pill to swallow. From a purely financial standpoint, it makes little sense to be involved with a company that has allegedly been invoiced for services it ultimately never provided, although that might explain why our escalators are constantly broken (Genivar was involved in the latest batch of renovations to the Hall building escalators). It’s distressing that the university has chosen to involve Genivar in such high profile and important projects when the company is supposedly so heavily involved in the province’s deep-rooted problems of corruption and collusion. It sends a message to the Concordia community—and to the city as a whole—that the university is not overly concerned about the implications that come with being involved with such companies; nor does it matter if a company is named repeatedly in the Charbonneau Commission—they can still find people more than happy to give them more money. It’s a reality that is represented in Genivar’s financial statements: the company’s profits have consistently grown, with their second-quarter earnings jumping nearly 200 per cent. While Mota maintained that Genivar was the best candidate for the job, it seems impossible to believe that an organization linked to false invoices and shadowy behaviour could be best suited to play such a significant role at Concordia. To make matters worse, Genivar isn’t the only Charbonneau-linked company that Concordia has connections with. EBC, the general contractor in charge of the Richard J. Renaud Science Complex at Loyola, has been cited as one of the key players in the system of collusion currently under investigation by the commission. In light of this, it’s even more pertinent that Concordia reconsider the organizations it associates itself with. Our badly battered reputation is at stake, but so is the hope that these companies will be penalized for their actions. Rewarding them with prestigious building contracts and projects to oversee accomplishes nothing; it merely reinforces the idea that things like bid rigging and systemic corruption are acceptable. Concordia ought to start looking for a different contractor, one that doesn’t have such direct ties to allegations of corruption that see the price of construction inflated 25 to 30 per cent; one that did not engage in bid rigging for public contracts; one that did not allegedly donate $200,000 to now-defunct municipal party Union Montréal at the request of the party’s director of financing, Bernard Trépanier. The university has been penalized time and time again for its financial mismanagement, whether it’s in the form of a $2-million fine from the provincial government for the school’s hefty severance packages, or from donors withdrawing their pledges because of the way Concordia handles its funds. Having the relationship it currently does to Genivar will do the university no favours. It’s time Concordia put an end to it.